Forward, March . 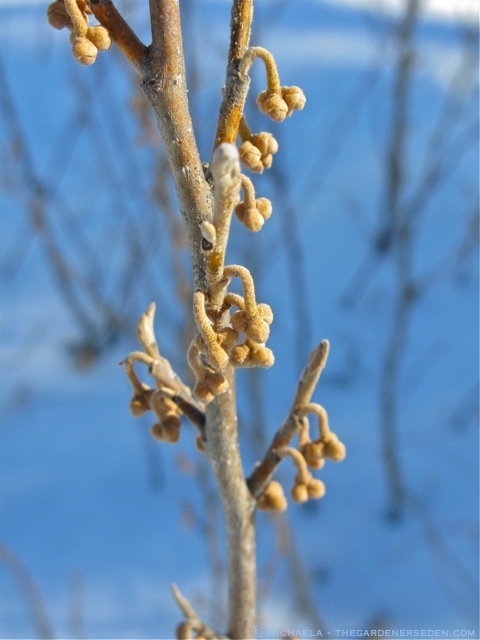 . .
Not just yet, but in a matter of weeks, the Witch Hazels will begin to bloom (Hamamelis x intermedia ‘Pallida’ in March of 2012). 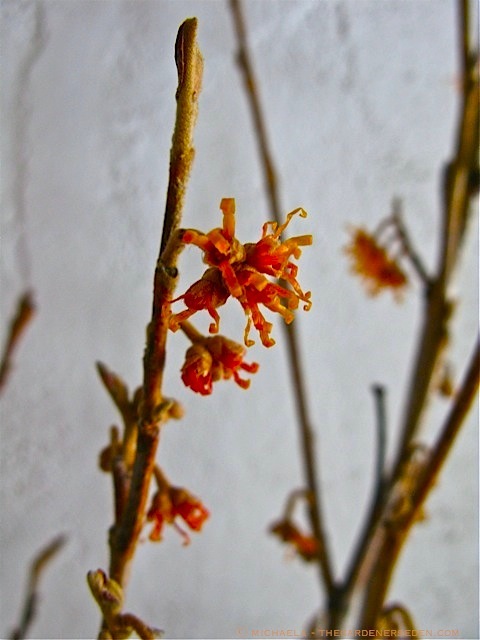 Read more about spring blooming Witch Hazels in my previous post, here. Although March belongs, in large part, to Winter, this never seems to stop Spring from sending flirtatious hints our way. Just step outside, and already you will hear her sweet song in the treetops. 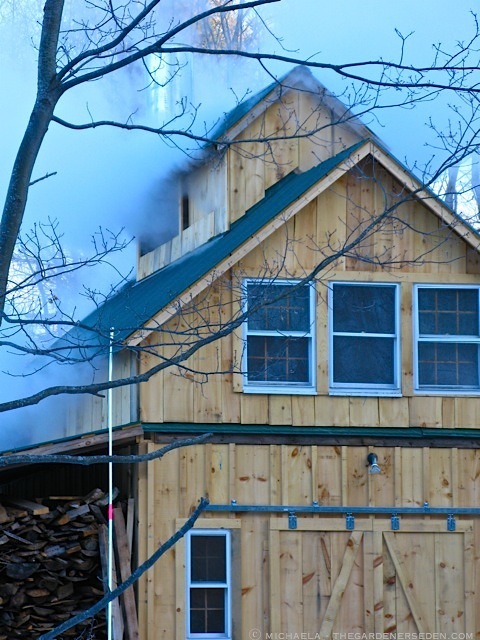 Beneath the snow, below the cool, naked branches and icy stone, sap is running and life is stirring . . . The buds of native, Vernal Witch Hazel (Hamamelis vernalis) wait patiently for a warm sunny day, to release their honey-sweet scent into the breeze. 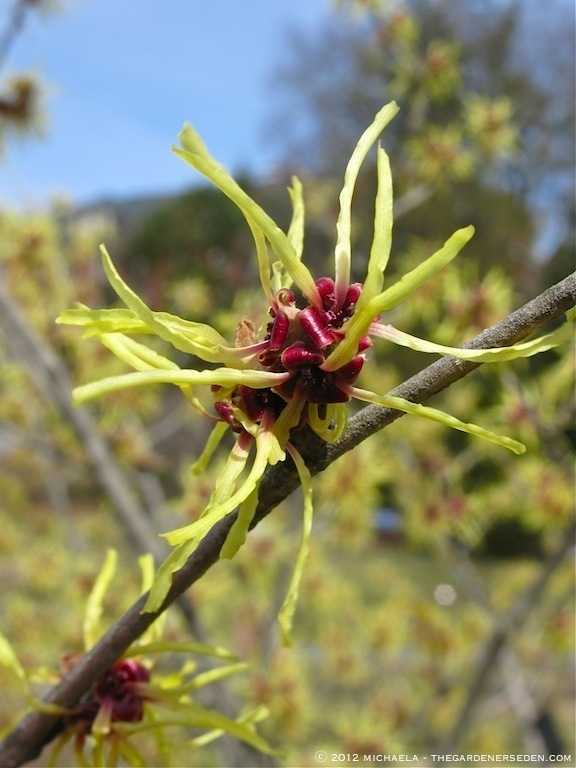 Read about the Vernal Witch Hazel here. For now, this northern gardener must be satisfied with an armful of forced branches for her Eden indoors. Read more about how to force branches by clicking back to my previous post, here. 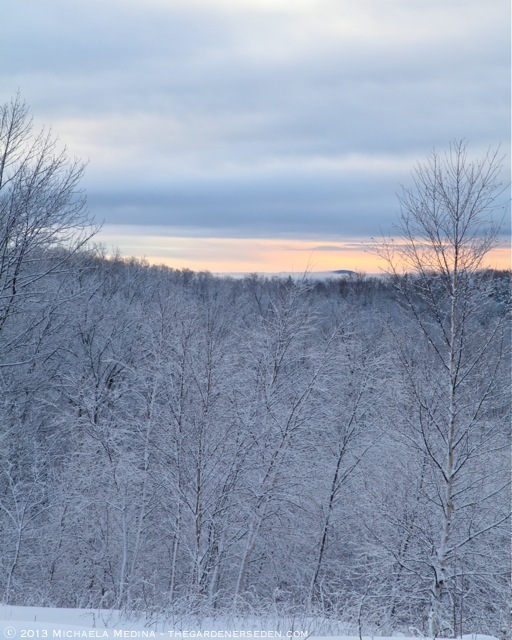 So when March snow falls softly, coating trees and obscuring the view, I remind myself that these are the last few weeks of Winter. Soon, her icy beauty will vanish and we’ll be saying hello again to coquettish Spring . 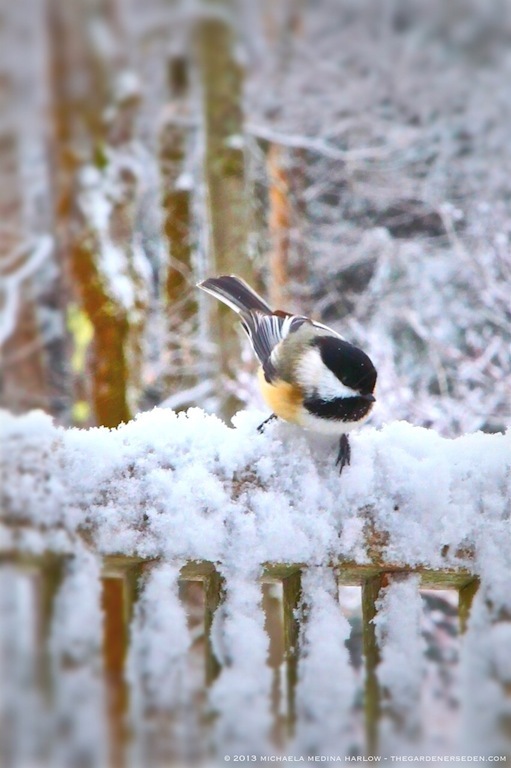 . .
Ever-wary of predators, a Black-Capped Chickadee surveys the feeding stations for safety before swooping in for a snack . 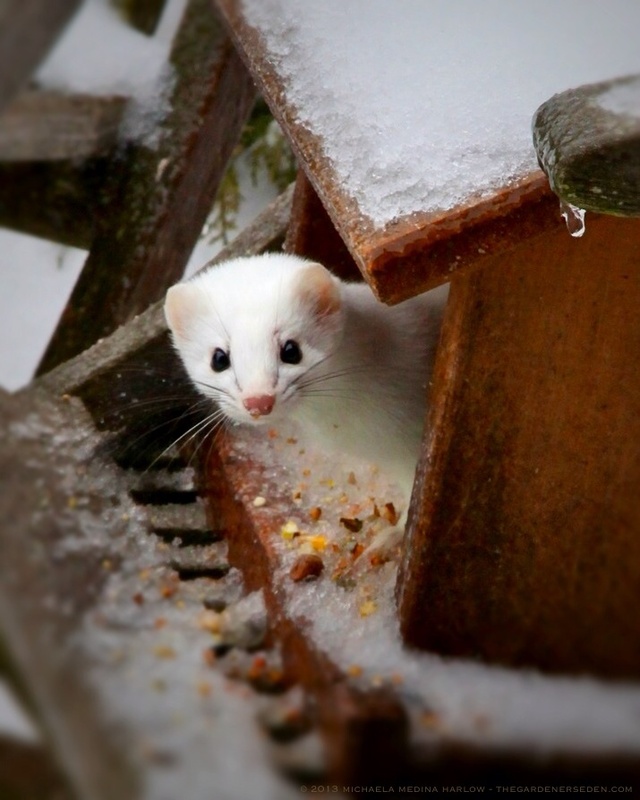 . .
Perhaps the Ermine (aka Stoat or Short-Tailed Weasel) is hunting today? 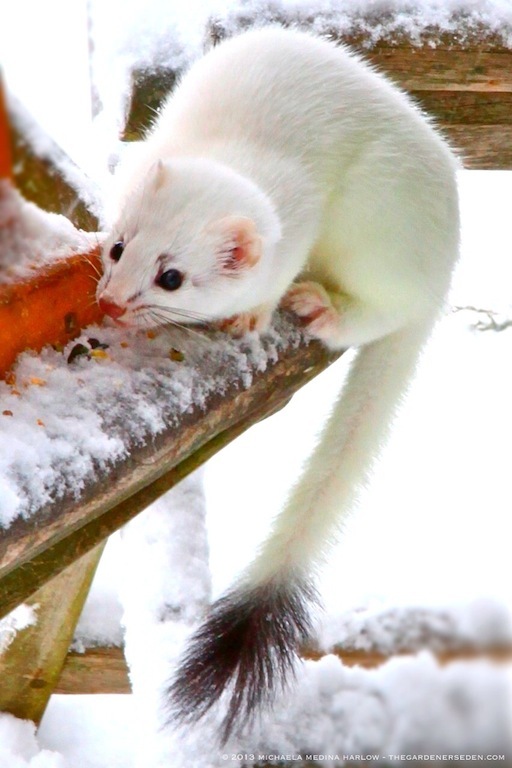 Read more about this fierce, tiny hunter in my previous post on the white-cloaked ermine, here. You are currently browsing entries tagged with Ermine at The Gardener's Eden.